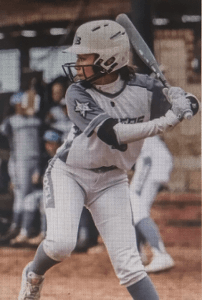 Isabella "Isa" Torres is a smooth-fielding, lefty triple threat hitter playing for father Joe Torres with the Texas Bombers. It must be nice for Coach Joe Torres, who coaches a Texas Bombers Gold 14U team, to know that in five years he and his family can all be together to watch sisters Mariana (2020) and Isabella (2023) play together for Jo Evans’ Aggies program. The pair has several other things in common too—both have played in the Texas Bombers organization, both are talented, athletic infielders and, after this week, both can say they have made the Extra Elite 100 lists for their respective classes. Of course, as is typical of siblings, whoever is ranked higher will no doubt give the other grief. “She competes year-round with her older sister on just about everything they do,” says their father, Joe. 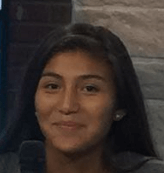 It can be tough to follow in the footsteps of an older sibling, but as you'll see in the profile below, that has helped Isabella become the talented player she is today. What would it mean to you to be considered as one of the top 100 players in your grad class? Being ranked in the top 100 would mean a lot to me considering that I’ve worked really hard and that my family and I have sacrificed a lot to get me where I am today. As an A&M commit prior to the Early Recruiting Rules being implemented, how did the new recruiting legislation impact you?